"The seventeen pieces in Ficciones demonstrate the gargantuan powers of imagination, intelligence, and style of one of the greatest writers of this or any other century. 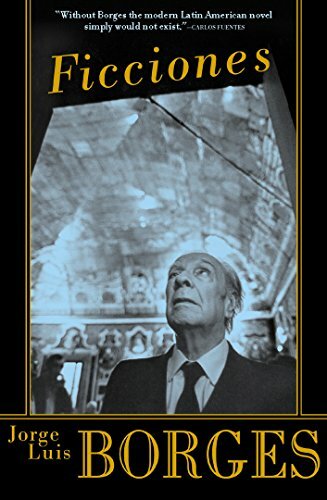 Borges sends us on a journey into a compelling, bizarre, and profoundly resonant realm; we enter the fearful sphere of Pascal’s abyss, the surreal and literal labyrinth of books, and the iconography of eternal return. More playful and approachable than the fictions themselves are Borges’s Prologues, brief elucidations that offer the uninitiated a passageway into the whirlwind of Borges’s genius and mirror the precision and potency of his intellect and inventiveness, his piercing irony, his skepticism, and his obsession with fantasy. To enter the worlds in Ficciones is to enter the mind of Jorge Luis Borges, wherein lies Heaven, Hell, and everything in between."